During November, people all over the planet have been celebrating World Vegan Month. I'm not a vegan myself, which is probably why food was the first thing that sprung to mind when I was approached to work on this campaign. Of course veganism isn't just about food; it's a lifestyle, and the people at Big Green Smile asked if I'd like to try some of their vegan make up. 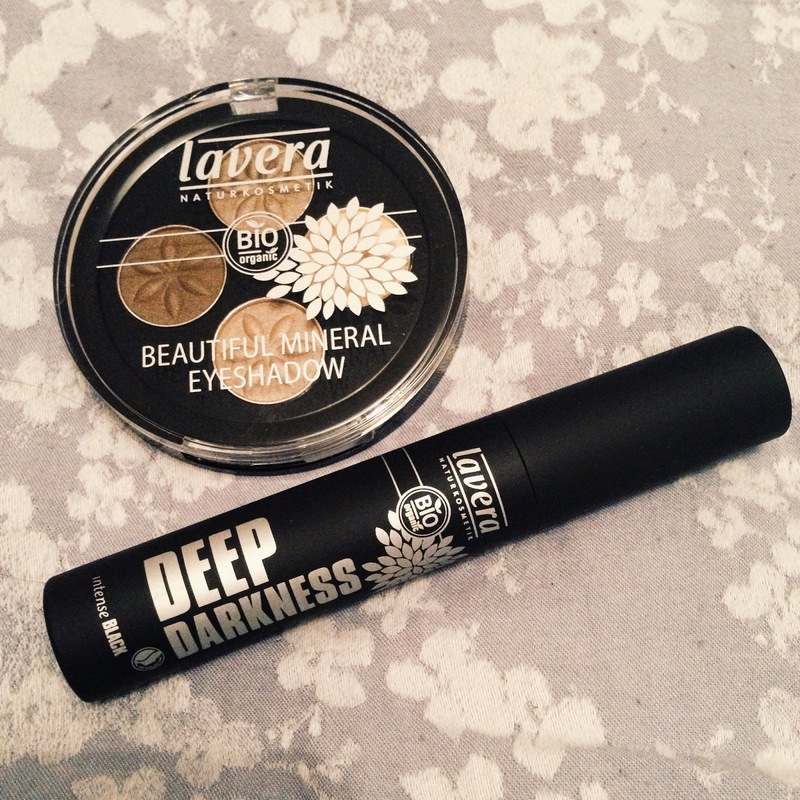 I chose the Lavera Beautiful Mineral Quattro Eyeshadow set in Cappuccino Cream and the Lavera Deep Darkness Mascara in black. These are my two make up essentials (closely followed by eyeliner) so I was really interested to try out a new brand. I'm one of those people whose make up routine hasn't changed.... ever. Aside from experimenting with a few different coloured Barry M Dazzle Dusts in the nineties and noughties, I've pretty much stuck to natural eye shadows in various shades of brown, kohl eyeliner (liquid for nights out) and the thickest, gloopiest, blackest mascara going. I've always been very fickle when it comes to eye shadow brands, choosing whatever was on offer at the time, but I'm VERY fussy when it comes to mascara - it has to be jet black, there has to be lots of it and the wand/brush has to be HUGE. The eyeshadow set that I chose is phenomenal. Really. It's super easy to apply (I have always used a lip brush, randomly, which is smaller than your average eyeshadow brush and I find allows me to be a bit more precise with my application) and, for the first time in twenty -odd years of make up wearing I appear to have found a product that doesn't crease up in my eye socket! I have quite deep set eyes and by the end of the day, I tend to have no eyeshadow left on my lids as it has all collected in the crease of my eye socket. This drives me mad and I've tried all sorts of foundations/powders/primers and different make up brands but to no avail. 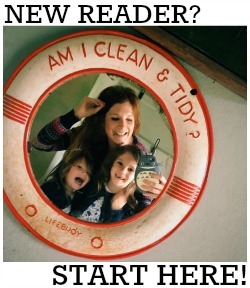 I'm genuinely thrilled to find something after all these years! I usually avoid buying eyeshadow sets as I always find one or two of the colours just don't get used. I then end up with loads of half finished sets at the bottom of my make up drawer as I can't bear to throw them away, but that's not the case here. 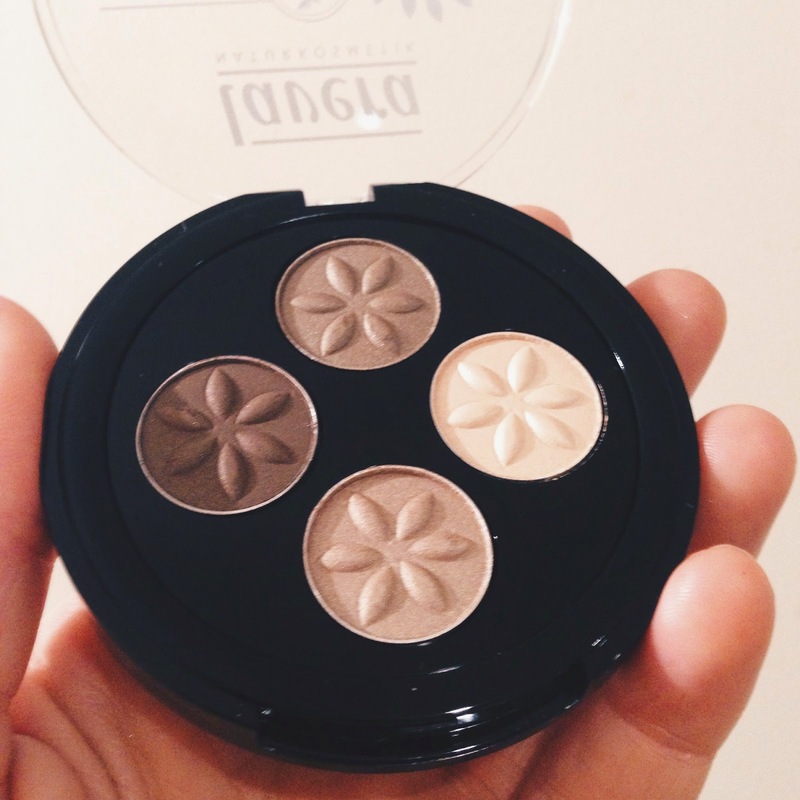 All four shades are perfect and I've actually been using them all every day. I wear the darkest colour in the outer corners of my top lid, the palest in the inner corners, the slightly-lighter-but-still-dark colour in my sockets and the warmer pale one underneath my eyes. The geek in me is trying to use the same amount of each every day so that they all run out at the same time! 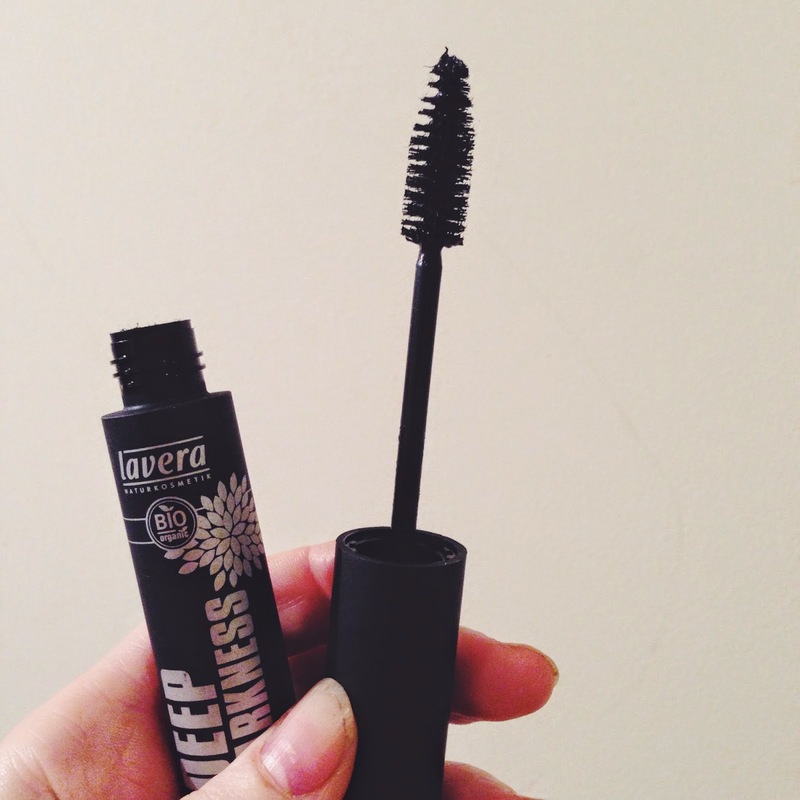 The mascara I wasn't *quite* so keen on. I like my eyelashes to look pretty dramatic. I go for the clumpy, heavily applied look rather than the natural one - and the Lavera brand doesn't cut the mustard in that sense. If you like the natural look then this mascara definitely IS for you. The brush is divine (so good, I've actually been using it with my usual, non-vegan mascara) and the mascara itself really is jet black, but it's very difficult to build it up to the look I like to go for. The eyeshadow set retails at just £12.50, and the mascara £14.90 which I think are very reasonable sums for good quality, ethically made and environmentally friendly make up like this. DISCLAIMER: I was sent the products mentioned above in order to carry out this entirely honest review of them.